The best car to buy also means that you can enjoy the affordability with an abundance of good features. Also, comfortable matters do not always mean that you need to buy a brand new car in the first place. So, if you are on a budget and you need a vehicle, we will show you your options in this article. Sedans tend to be more affordable compared to other types of cars on the market. Also, it tends to save when it comes to the gas pump. In this article, we will show you several brands of used cars under USD 15,000 that will fill your day and fit your budget. So, here is the list of the best car to buy in 2019. On top of the list, we have 2014 Nissan Altima. This car is definitely the definition and proof of affordability, style, and functionality in once car. Also, it has a seven-trim option so you can customize the car if you want to. The base trim provides various interesting standard features such as keyless entry and ignition along with Bluetooth connectivity. The car also features 16-inch wheels that will provide smoother rides for you. Even though it is not the cheap new car deals, you can enjoy the power under the hood. Its base engine is featuring a 2.5-liter with 182 horsepower engine. You can upgrade the car up to 3.5 liter V6 and make this sedan looks exciting and budget-friendly at the same time. 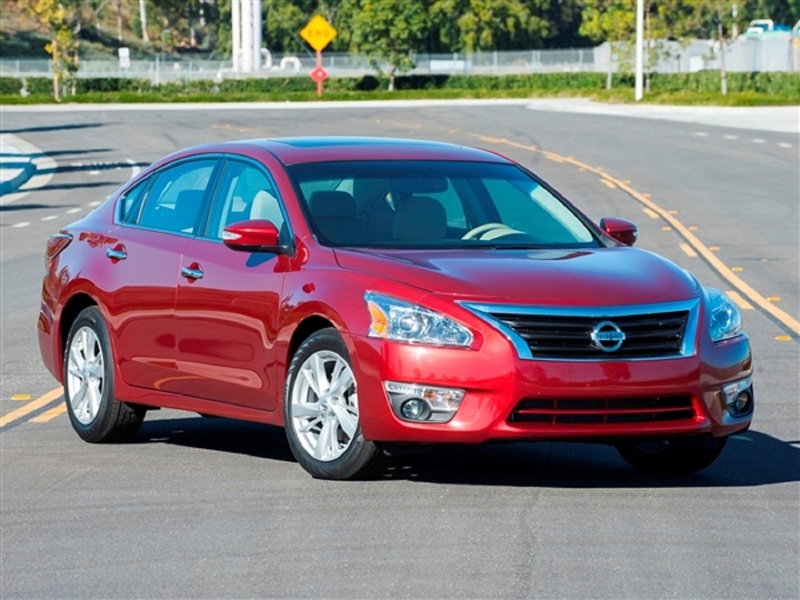 2014 Nissan Altima is also ranked as one of the best family cars. It is such a win-win solution for everyone. If all you need a sedan with more spacious space inside, 2014 Chevrolet Cruze might be the one for you. This car also gives a great power under the hood. This specific model year offers a unique trim. The diesel machine includes a 2.0-liter engine with turbocharged that allows you to get 151 horsepower. The other trim options also include several types such as Eco, LTZ, LT, and LS with several standard features on each trim. The standard features include the keyless entry, Bluetooth connectivity, and power accessories. This car also offers a comfortable interior with a classy look that could accommodate four passengers along with the driver. Also, there will be a lot of room for feet and hear as well. 2014 Honda Civic features a compact look with sporty and sleek styling. Other than that, the car can be upgraded into the CVT transmission along with several upscale standard features. The features include the keyless ignition and entry, a practical display on its touchscreen, and integration to your smartphone. 2014 Honda Civic is available both coupe and sedan style with four trim levels. The driver would enjoy this car because all trim levels have a rearview camera along with a touchscreen with a 5-inch display on it. Its power accessories and foldable rear seats would be another interesting point about this car. You can go to the nearest car dealer to get the list price of car as well as this car. This sophisticated yet affordable sedan comes in three trim levels. The base trim is GLS and it already offers some full power accessories along with 16-inch wheels made of alloy. Other than that, it has been equipped with satellite radio and a unique system for telematics. Its standard engine gives a 2.4-liter machine with 190 horsepower in it. It might be a fun car to ride for sure even though it is not one of the new cars to buy. You need to get the cars and their prices before you decide to buy it or not. If you are looking for an affordable secondhand sedan under USD 15,000 with a stunning interior cabin then 2014 Nissan Sentra might accommodate your appetite. This car is available in six trim levels. All trims have standard features that include keyless entry, 16-inch wheels, a decent 1.8-liter machine with 130 horsepower, and full power accessories. The standard of upper trim levels also includes the CVT automatic transmission. This transmission is surprisingly smooth and provides a pretty quiet ride for a vehicle in its class. We will say that 2013 Hyundai Elantra would be a fit for you who love variety. You might need to check if this particular model year is available on cars in my area nearby. This car is available both in sedan, coupe, and hatchback car style. The trims are available in the base GLS and the Limited one. The base trim comes with several decent features such as heated mirrors, full power accessories, and 16-inch wheels. Other than that, it is equipped with a sound system that features six speakers to provide a great quality of sound throughout the interior. For a compact car, the Elantra’s interior is pretty spacious even if you are a taller person. This specific model year offers a compact and sporty look. It comes with five different trim options. The standard features include the keyless entry with a remote trunk release. If you need a smaller sedan with a good price, this option may suit you for sure. Toyota Corolla series that came in 2014 provide a major overhaul. It includes a wider yet longer body that features a sleek, stylish exterior. This car is available in four different trim levels. The standard features in all trims include the power windows or mirrors, Bluetooth connectivity, and 15-inch wheels made of steel. The drivers may enjoy the cabin control and dash that offer a user-friendly interface. The passengers will also enjoy the ample space on both feet and head at the rear space even though this car is in the mid-size sedan class. If all you need is a car that offers a comfortable ride with more than average performance then this car might be the best car to buy.